Enter your ancestor's name below and we'll search New York historical newspapers to help you learn more. As one of the 13 colonies, New York newspapers have captured and preserved American history and daily life of our country’s earliest residents. With historic New York newspapers dating back to 1730, discover your ancestors’ role in the fight for independence through modern day America. Our New York newspaper archives include full publications from across the state. Find historic articles, announcements, obituaries, and other more that hold the hidden stories of your family’s past. Whether you can trace your ancestors to the first colonists or one of the thousands of immigrants, New York newspapers can hold the clues to your family history. From early U.S. colonialism to the American Revolution, the Civil War to current day, New York has played a pivotal role in shaping American history. Our ancestors from all over the world sought out a new life and for many, New York was their starting point. New York was the entry point for many immigrant groups - Italian, Irish, Jewish, German, Hispanic, Asian, and more. 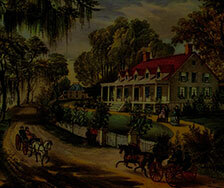 With our historical newspaper archives dating back to 1730, you can trace your lineage back to Colonial America. Our records also include many cultural specific newspapers to help you narrow your New York genealogy research even more. Browse Irish-American newspapers to find your Irish ancestors or Italian-American newspapers for your Italian relatives. Use newspapers to discover and understand the lives of your early ancestors who left their homes to seek out a new life in America. Find out how they lived, who they loved and all the events that surrounded their lives. Search our archives of New York historical newspapers and bring your family tree to life. Our New York newspaper archive and genealogy records include full publications from across the state. 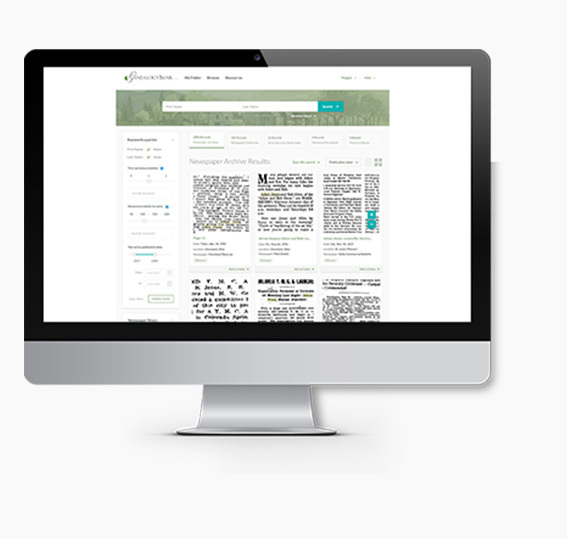 Find historic articles, announcements, obituaries, and more to uncover the hidden stories of your family’s past.